We have so many awesome memories from Mexico with the Fishers and Co., from their beautiful wedding, spending great times with their family and friends, sailing, swim up bar, water aerobics and trivia, Isla Mujeres and getting completely poured on, cards in the lobby bar, deep sea fishing, all the way to getting put on official probation by the hotel Assistant Manager. 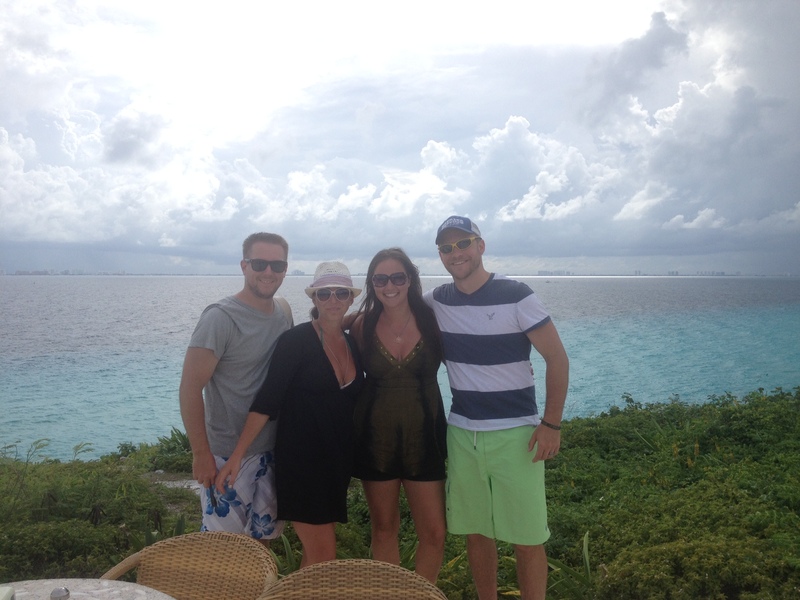 I am so thankful to be included in such a special event and will remember that vacation forever! I’ll share more pictures of our awesome trip once we have them uploaded. I feel like we didn’t eat our share of corn this year, but can you ever have enough? Probably not when it’s fresh from the farm! I grew up eating corn on the cob in probably one of the most traditional ways – boiled with butter and salt. As I got older, I enjoyed it grilled in the husk with salt and pepper. This glaze really takes corn to a whole new level. 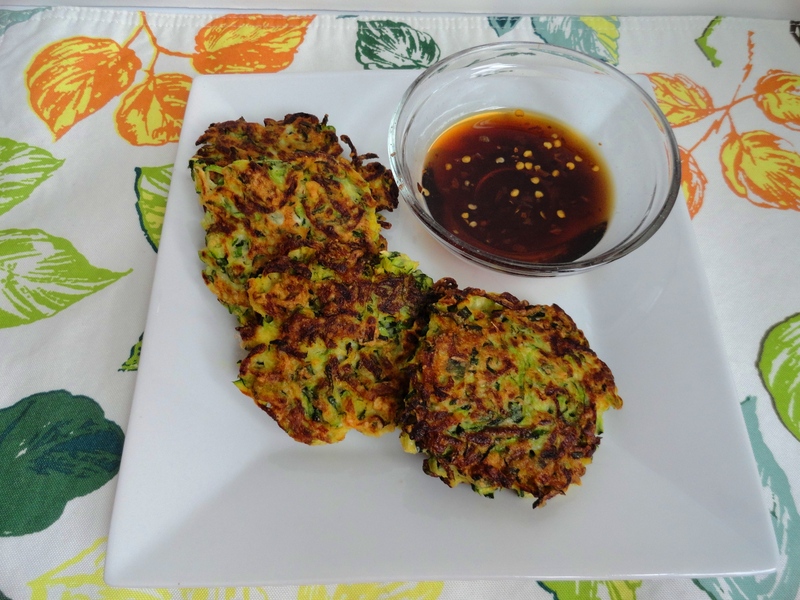 The glaze is slightly sweet, but the fish sauce adds a salty element. Grilling for just a little longer after brushing on the glaze caramelizes the sugars and makes every single kernel pop! I think this glaze would be great on almost everything – chicken, pork, shrimp, fish! It’d even be a great wing glaze! We’re pretty much at the end of the prime corn season, but if you’ve still got some fresh ears, I highly recommend trying out this recipe. 1. In a small saucepan, combine the coconut milk, soy sauce, sugar, fish sauce and lime juice. Cook over moderate heat until the glaze is syrupy, about 10 minutes. 2. 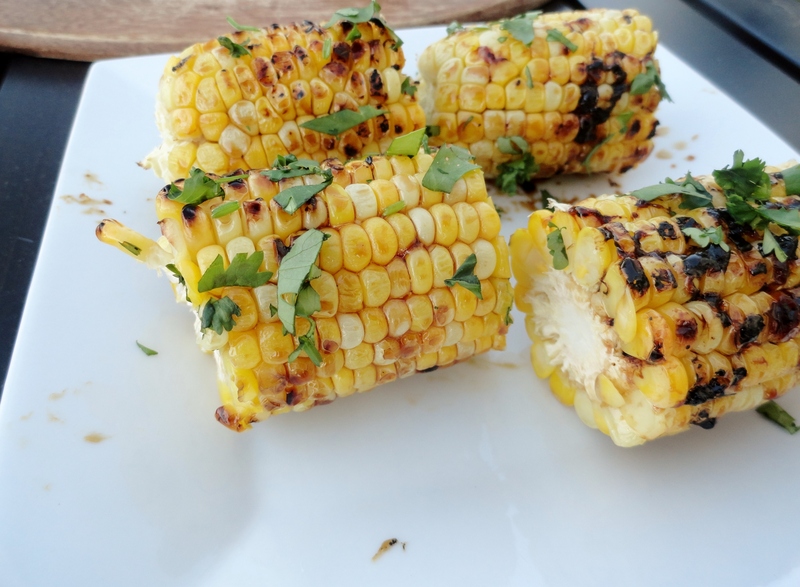 Preheat grill to medium heat and grill corn until charred and tender, 10-15 minutes, turning occasionally. Brush cobs with glaze during the last 5 minutes. 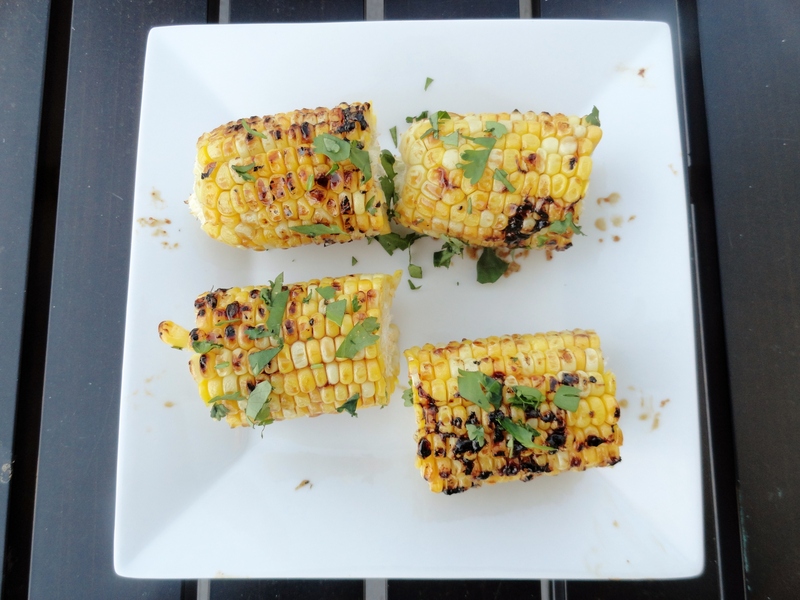 Cut each corn cob into thirds (or don’t, because you’ll likely want an entire ear to yourself), transfer to platter and garnish with cilantro and lime wedges. Two recipe swaps in a row, and I’m almost on fire! As always, the swap was hosted by Sara at A Taste of Home Cooking. This week’s theme was chicken, so there was absolutely no way I wasn’t going to participate. I submitted my honey mustard chicken skewers with a kick, one of my favorite chicken dinners! 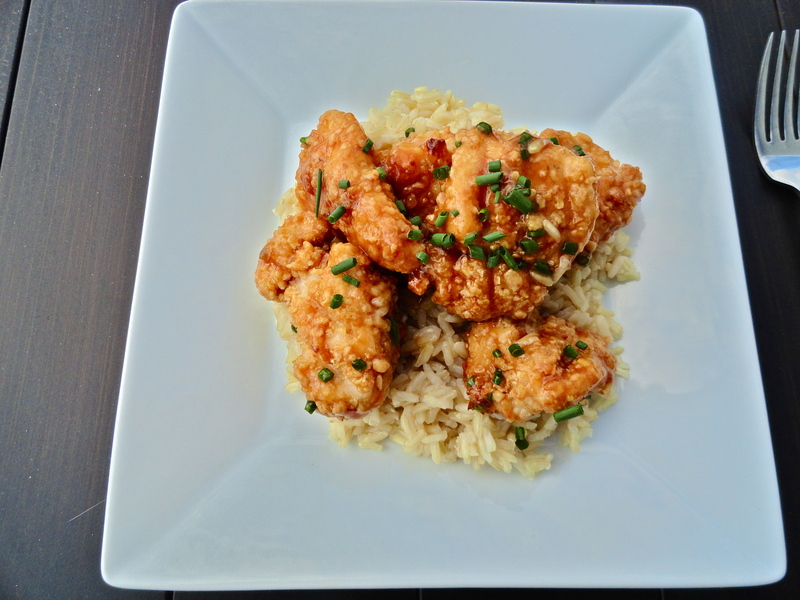 As for me, I was assigned honey garlic chicken drumsticks from Sweet Beginnings, which just so happens to be one of the blogs I frequent. Jaida has mad love for food, and her recipes have never disappointed. In fact, I had her blog for a bloggers choice swap not too long ago, in which I made her avocado and lime black bean tacos. YUM! Based on previous results, I was really looking forward to making her chicken drumsticks. I don’t really care for chicken drumsticks. I don’t even like wings all that much. But I still eat them. And I still buy them when they are on sale. That’s how thrifty I am. Some like to call it cheap 😉 I had these drumsticks in the freezer for a few months, so it was actually time to use them (and I’m certainly not pretending that I wouldn’t have used them if they’d been in the freezer longer than that). The recipe was pretty simple, including all ingredients I had in my kitchen already (one of my favorite things!). 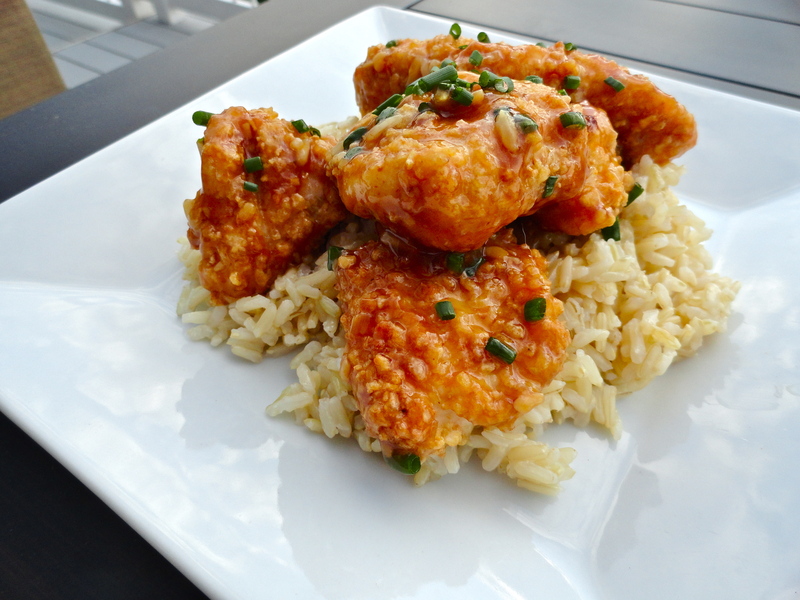 These came together rather quickly – a little too quick, so I used the sauce as a marinade and put the drumsticks back in the fridge until it was closer to the time Nate would be home. I was a little concerned about the amount of butter used in comparison to the rest of the ingredients, but hey, it’s a swap and I played by the rules 🙂 The result was good. The sauce got nice and sticky in the oven and the skin browned nicely with a slight crisp. While the sauce smelled really sweet (Nate actually commented on that when he walked in the house), the butter flavor was a bit overwhelming. Personally, I would omit this altogether the next time. I know when Nate really likes something as he usually says so, and he also would eat the leftovers. We had one drumstick left, and he wasn’t calling it for his lunch, so I knew it wasn’t his favorite, and he told me so. But that’s okay. Logic tells me that if he’s honest about not liking one thing, that means he’s likely always honest about liking everything else 😉 This would be a great go-to meal for a weeknight when I haven’t planned dinner! Thanks, Jaida! 1. Preheat oven to 400 degrees. In a small saucepan, melt butter over medium-low heat. Add garlic and cook until fragrant, about 3 minutes. 2. Turn off heat. Add soy sauce, honey, crushed red pepper and cilantro. Stir to combine. 3. 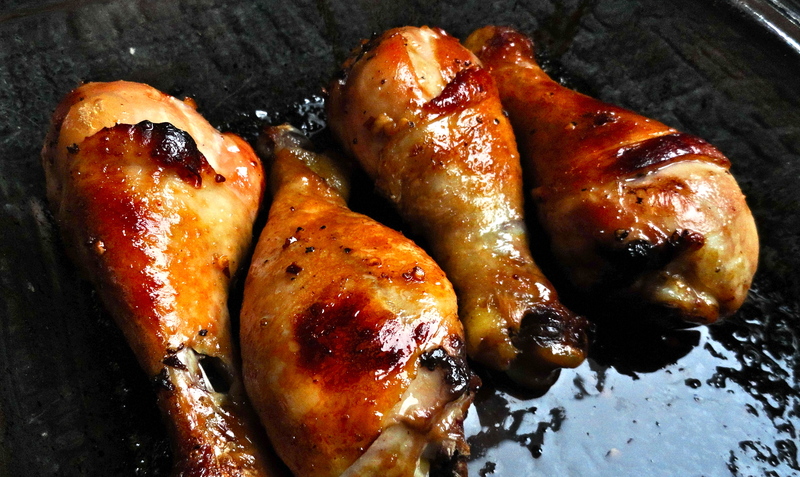 Arrange drumsticks in a single layer in a baking dish. Sprinkle generously with black pepper, salt if desired (remember the soy sauce will naturally add salt). Pour the sauce over the drumsticks and roll to coat evenly. 4. Bake for 40-45 minutes, until chicken is cooked through. I turned the broiler on for the last 5 minutes to crisp up the skin a bit. Garnish with cilantro and serve. 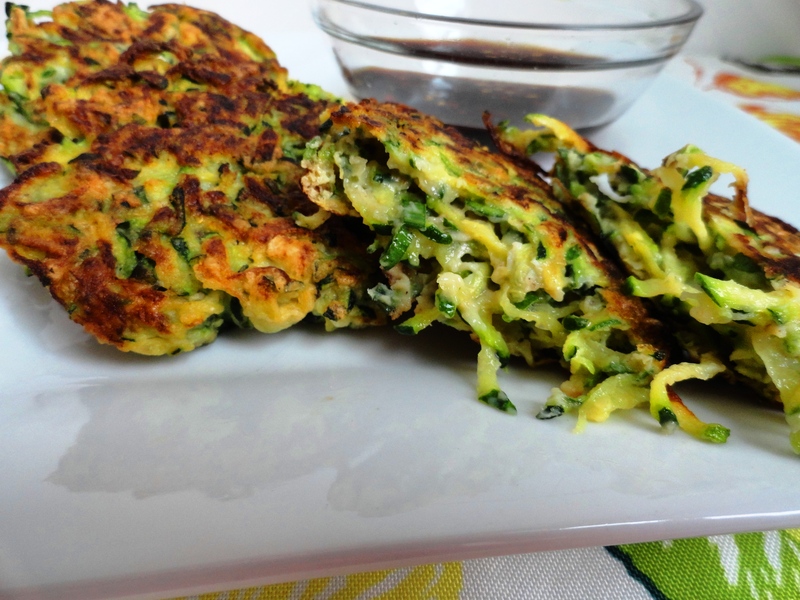 Click here to see what the other recipe swappers cooked up! 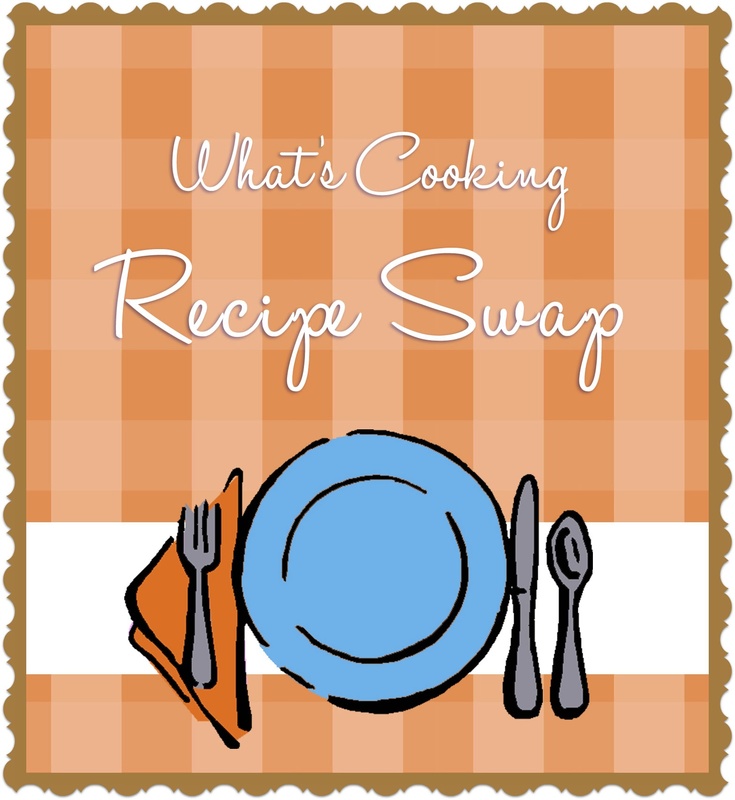 This was my second recipe swap, and this time it was bloggers choice. What that means is each person is assigned a blog and allowed to choose one recipe from that person’s blog to make and write about. It’s even more of a surprise than a themed swap because not only do you not know who got assigned to your blog, but you have no idea what they will make. I was assigned Colleen’s blog, Does Not Cook Well With Others (which isn’t true by the way, she has been considering changing the name of her blog and seems quite capable and willing to cook very well with others). From getting to know her through her WC identity, I was positive she was more of a baker, and after visiting her blog, I was right. Oh great…me, baking again! But she also had several savory dishes to choose from, so I wasn’t destined to make another dessert that Nate and I can’t finish. As you may have guessed, I prefer eating chicken breasts rather than thighs and drumsticks. However, I did have a bunch of frozen thighs and drumsticks in the freezer from a fantastic sale my local grocery store was having. 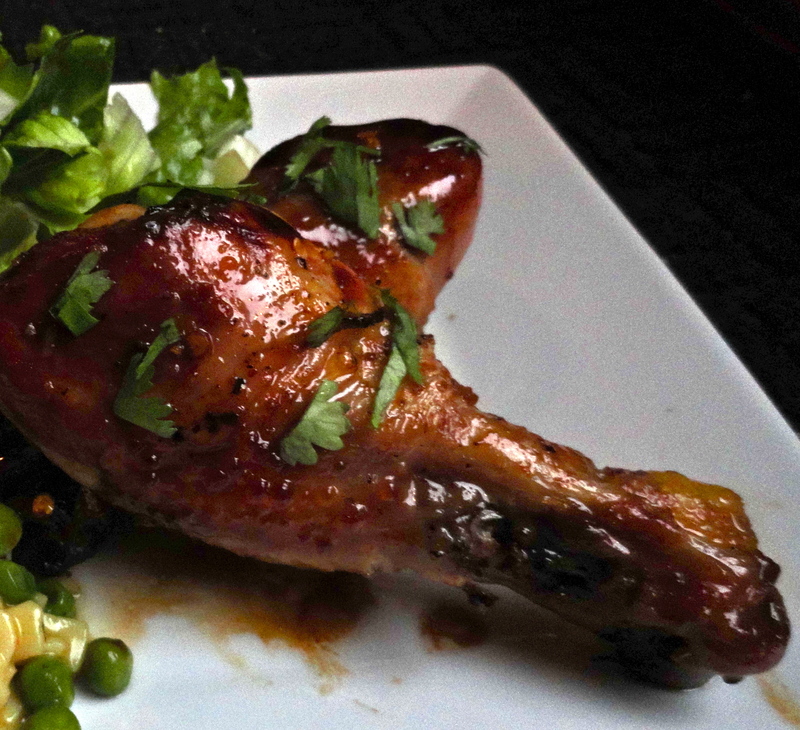 Once I came across Colleen’s Honey-Glazed Chicken Drumsticks, I knew that was the swap recipe for me! Many times when I find recipes I want to try from other bloggers, I generally will change quite a few things, the ratio of ingredients, or even just use their dish as an inspiration for something new. However, the swap rules don’t really allow for those types of changes. Although substitutions are acceptable, the point is really to make someone else’s recipe. I pretty much kept everything as is, besides adding a little more soy (I was afraid of the sauce being too sweet), and then broiling at the end of baking to get a nice crisp on the outside of the chicken drumsticks. The end result was fantastic! The skin got nice and crisp on the outside with the flavors of the seasoning shining through, and the meat was super moist. The addition of the soy-honey glaze was a perfect combination of salty and sweet. I took a leftover drumstick for lunch the next day, and I swear it was better than day 1. 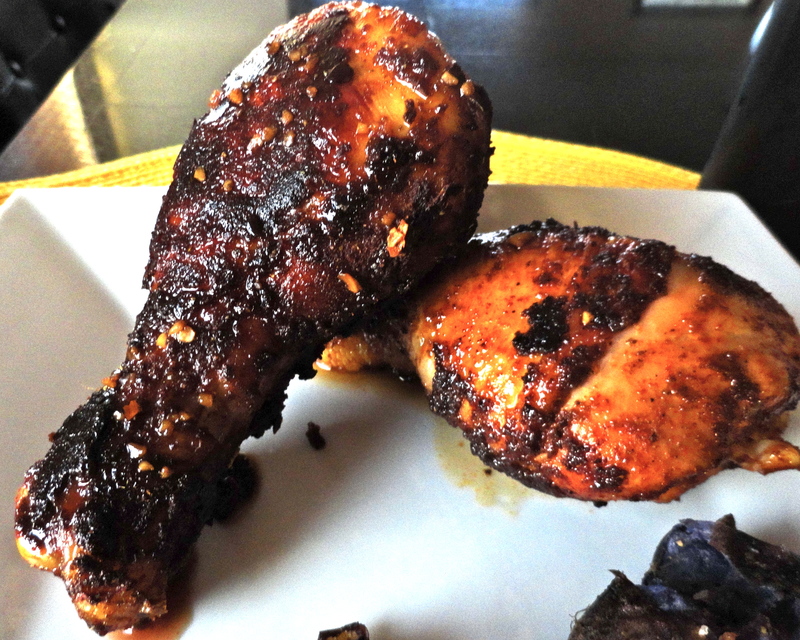 If you don’t have drumsticks, you could certainly use the glaze for thighs, breasts, or even wings. 1. Preheat oven to 425 degrees. Line a baking sheet with foil and spray lightly with cooking oil. 2. Place chicken breasts in a large bowl or plastic zip top bag. Season with salt and pepper. In a small bowl, combine paprika, curry and cumin. Pour seasoning mix over chicken, cover or close bag, and shake to evenly coat drumsticks. 3. 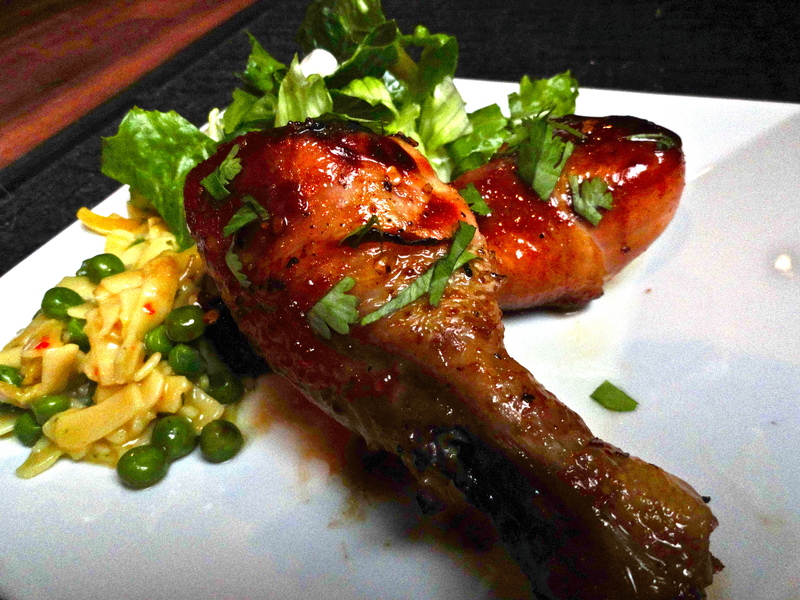 Place drumsticks on baking sheet and bake for 15 minutes. Flip chicken and bake for another 10 minutes. Remove from oven and turn to broil. 4. 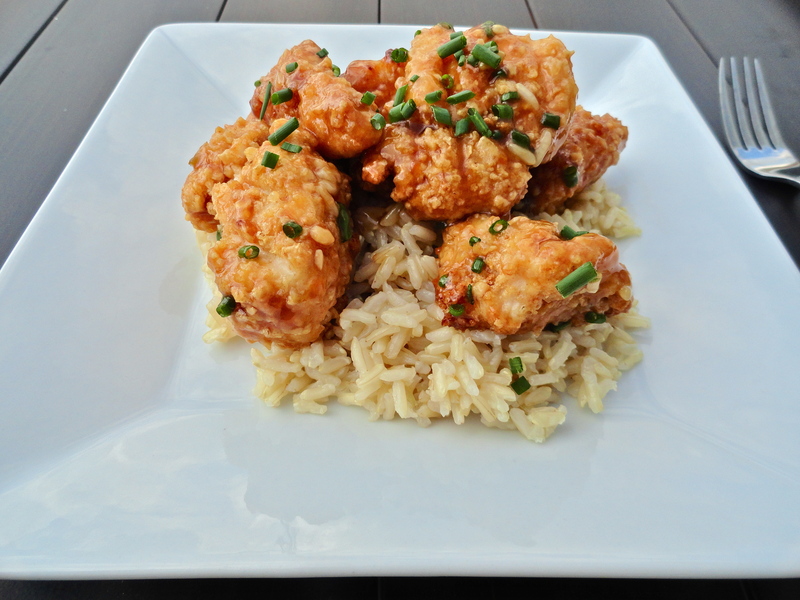 While chicken is cooking, combine soy and honey in a small bowl and whisk until combined. After flipping the chicken and baking for the last 10 minutes, remove from oven and pour most of the soy-honey glaze over the top (reserving some for serving). Broil for 5 minutes, or until glaze is sticky and chicken skin has started to crisp. 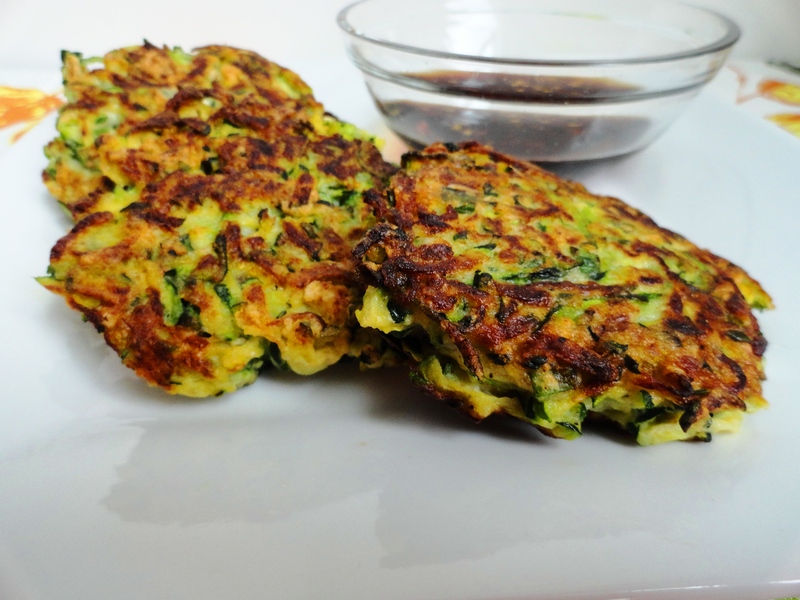 Serve with a lime wedge and additional glaze if desired.